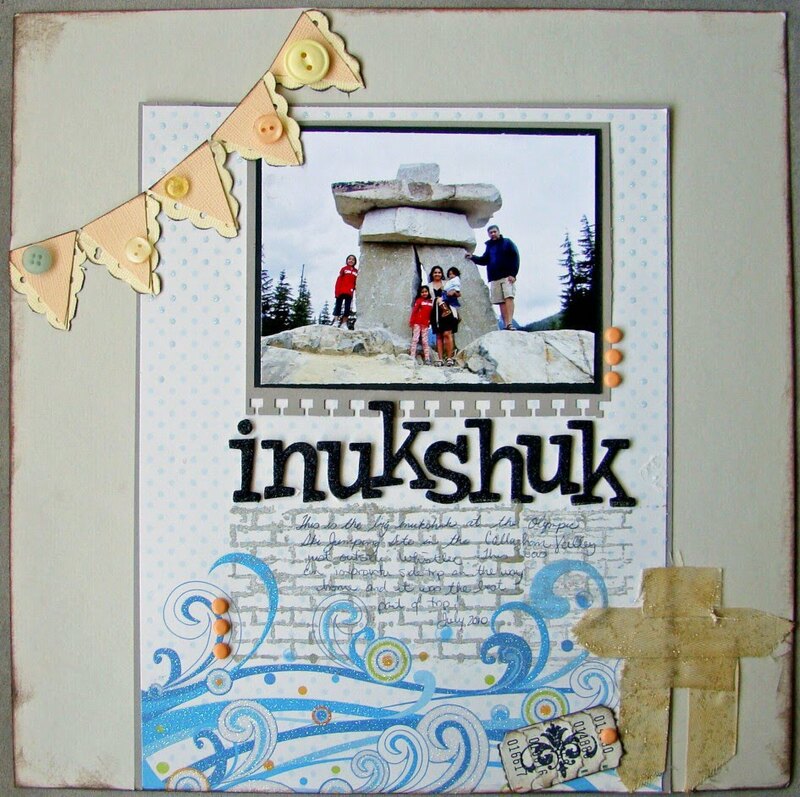 This layout was done based on a PageMags sketch. I altered the sketch a bit to suit the pic, but overall I'm happy with the way it turned out. 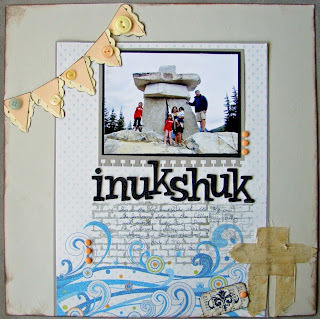 My favourite part is the ribbon inukshuk and the ticket embellishment. Just some pictures from a summer trip to Whistler. This Inukshuk was at the Olympic Ski Jumping site , and wow the vertical slope on the ski jumps is amazing. Seeing and watching it on TV does not convey the height and vertical drop at all. Along the way there we even saw some bears. It was a great little side trip.